Kika is 4.5 months, sweet natured, can be a little shy at first but with love and guidance will make a wonderful family pet. Please consider adoption rather than supporting breeding. There are so many wonderful dogs in need who need our help. ​Publicity - Spread the word for us - share our Facebook posts. ​Events - Come and join us at events - meet the team and our rescue dogs. Fundraising - Join our auctions, run your own event. Provide short term care for rescued dogs waiting for their forever homes. Fostering is so rewarding and valuable. You will give the dogs their first taste of love and home comforts. Join Easyfundraising - Earn funds for us with doing your daily shopping. ​Live in, or near to, Hemel Hempstead? 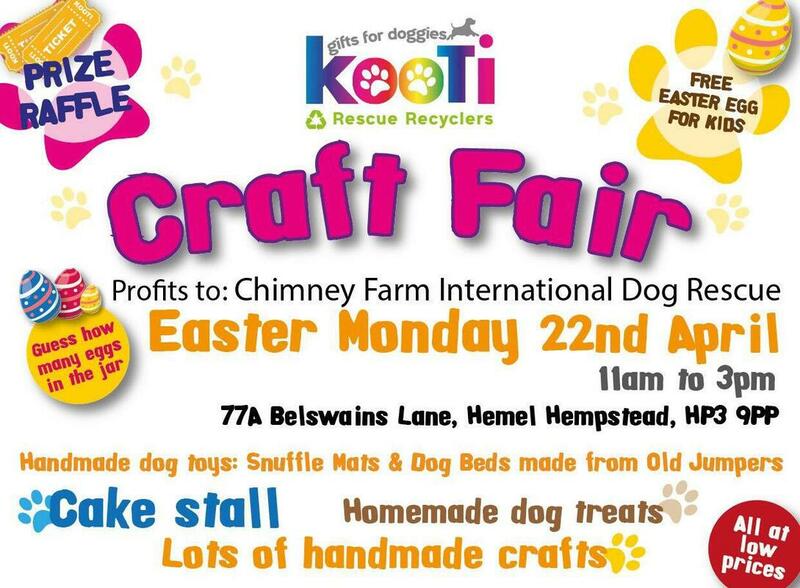 Support Chimney Farm and grab yourself some great doggie gifts from our friends Kooti.